Coopers Brewery Limited is the largest Australian brewery owned by the Cooper family, in Adelaide, South Australia, where their excellent beers are made since 1862. These beers are characterized by their secondary fermentation technique –some yeast remains in the bottle, thus the beer contains some sediment. Some drinkers like to mix the sediment throughout the beer by tipping or rolling the beer before drinking, while others prefer to decant the beer into a glass leaving most of the sediment at the base of the bottle. 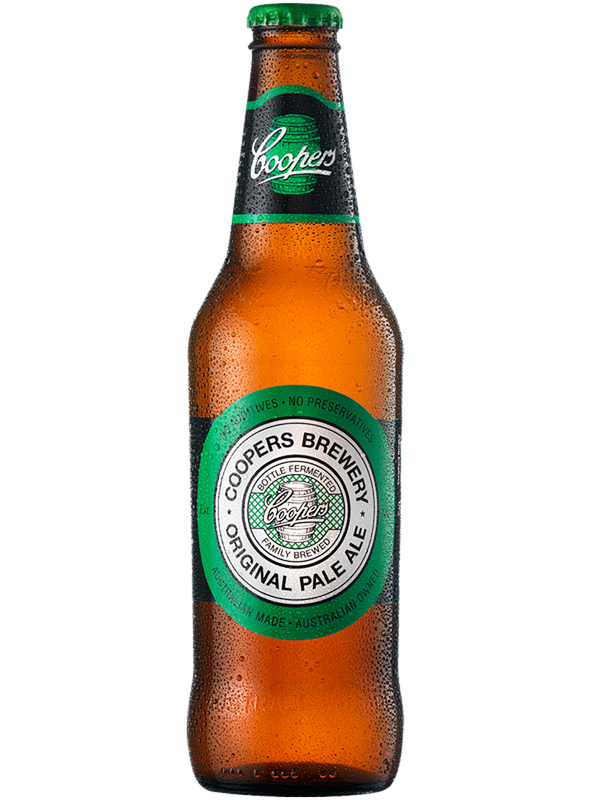 Coopers Pale Ale is the beer that inspired a new generation of ale drinkers. It is fruity and floral as well as balanced with a crisp bitterness. 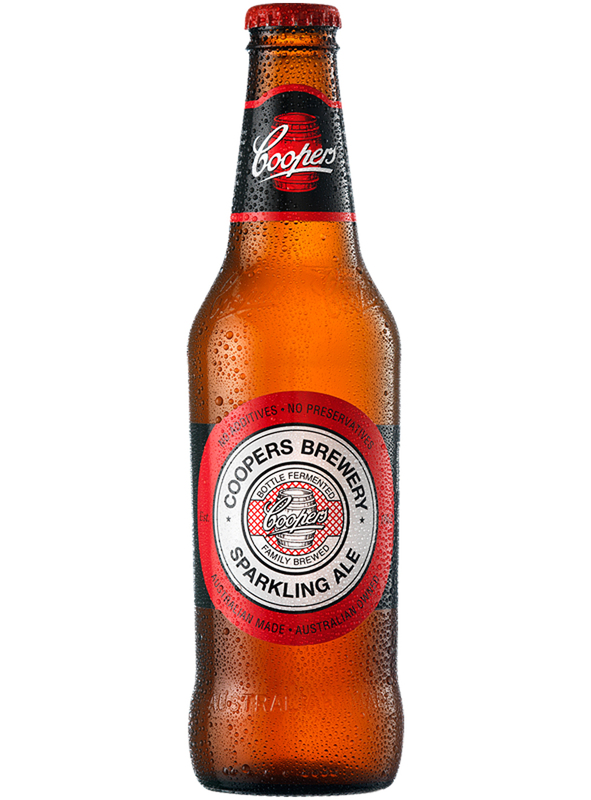 Coopers Sparkling Ale is an English style golden ale. It has a distinctive cloudy appearance due to the sediment being left in the bottle. The Sparkling Ale has a slightly different flavour and higher alcoholic content than the Pale Ale. 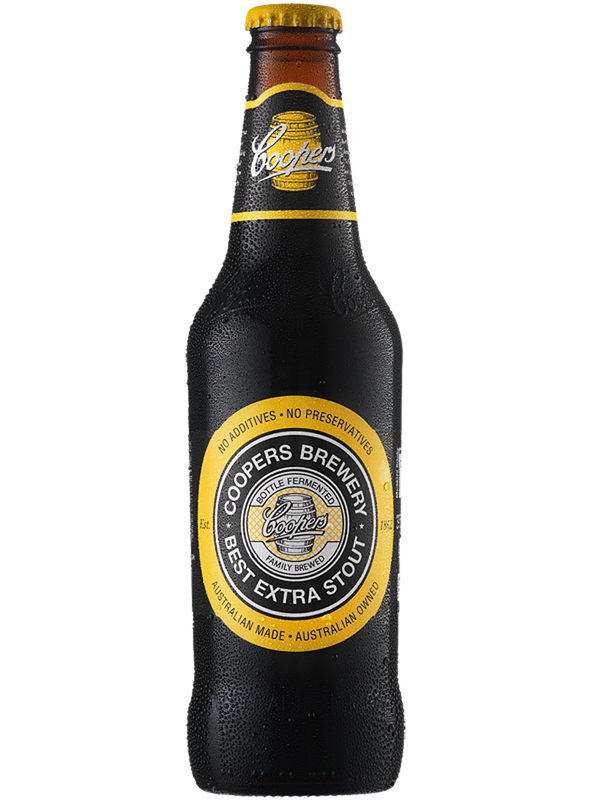 Coopers Stout is a consistent award winner in Australia and around the world for its tradition and quality. It is brewed using the choicest raw materials and classic brewing techniques, which produce a beacon for lovers of a hearty brew, with a robust yet complex flavour. Don’t miss the Australian tradition!